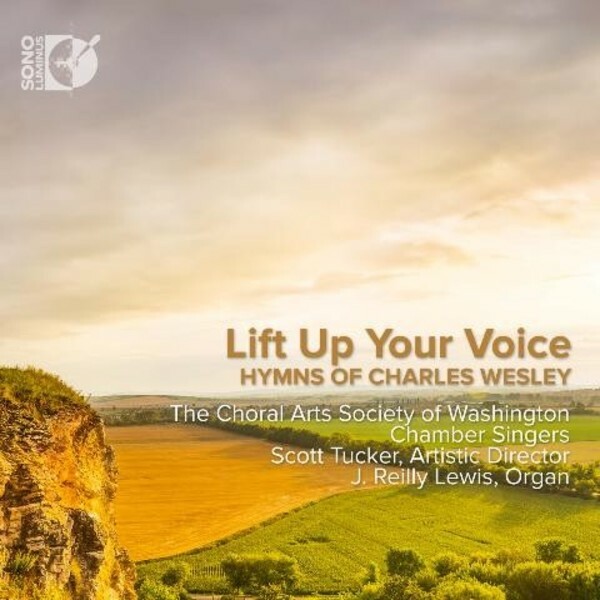 'Lift Up Your Voice: Hymns of Charles Wesley' is a powerful selection of Wesley Hymns to be released in both English and Spanish, as sponsored by The Wesley Heritage Foundation, Inc. (WHF). The Foundation was founded in October 1990 by Dr and Mrs L Elbert and Lois Wethington, to translate, publish and distribute the works of John and Charles Wesley from English to Spanish. The result of that endeavor is a 14 volume set entitled 'Obras de Wesley'. This major, scholarly publication continues to have a remarkable impact upon Spanish-speaking persons and churches of the Wesleyan tradition throughout the Americas. Obras de Wesley, edited by Justo Gonz�lez, includes the translations of 65 hymns written by Charles Wesley (18 December 1707 � 29 March 1788), who is among the most highly respected hymn writers of the Christian church, having written in excess of 6,000 hymns. Charles� hymn writing was central to the reform movement within the 18th century Church of England, a movement to which he and his brother, John, gave primary leadership. The hymns of Charles Wesley convey some of the best expressions and interpretations of Wesleyan theology and spirituality, which is what made their inclusion in volume IX of Obras de Wesley essential and, as part of the preparation of this recording, additional hymns of Wesley have been translated into Spanish. The poetic and musical presentation within the Spanish version of this recording contributes in a tremendous way to the continued mission of WHF which is �to promote the theology, practice and spirituality of the Wesleyan revival among Spanish speakers�. The English version of the recording is equally a vital contribution to the global Wesleyan community. Both the Spanish and English versions have been produced in celebration of the 25th Anniversary of the Wesley Heritage Foundation. Founded in 1965 by Artistic Director Emeritus Norman Scribner (1936�2015), the Choral Arts Society of Washington stands out as a leader among its peers, earning awards not only for its artistic excellence, but also for its administrative leadership and educational portfolio. Today Choral Arts comprises two performing groups: the Choral Arts Chorus, a symphonic chorus of nearly 190 singers, and the Choral Arts Chamber Singers, a small ensemble of 30 voices launched on the occasion of Choral Arts� 50th anniversary. The Chamber Singers were selected based on their vocal, sight-reading and ear training abilities, as well as on their interest and availability.